Welcome to our annual round-up of the books and equipment we have most enjoyed reading and using this year, all chosen by members of the NHBS team. Here are our choices for 2018! I am a complete amateur when it comes to botanising. I have struggled in the past to make sense of botanical field guides, and they always left me feeling rather stupid and frustrated. This booklet came to my rescue on my walks this year, and helped me make sense of both the plants, and the features to recognise them by, and the field guides! 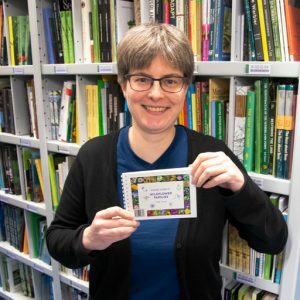 The author, Faith Anstey wrote a great article for the NHBS blog, and with this blog and her Pocket Guide (and her other books), she has done an enormous service for those who need a friendly guiding hand. 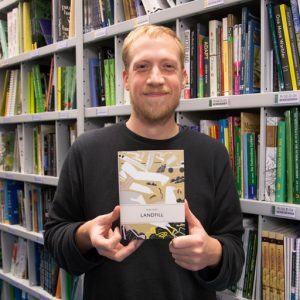 The process of returning the land to nature has a name that is rapidly entering the mainstream; ‘Rewilding’ or as Iasbella Tree’s book refers to ‘Wilding‘. The subject provokes great debate among conservationist and Isabella’s book certainly doesn’t sit on the fence when it comes to Knepp’s experiment. 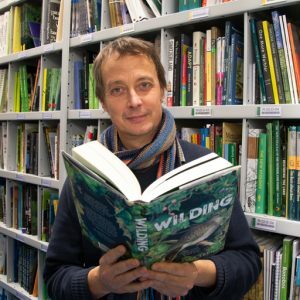 But her book is written with passion and knowledge and whatever your viewpoint, there is no doubt this book has put Rewilding onto the agenda and could be a game-changer when it comes the stewardship of our countryside in a post-Brexit Britain. Everyone who cares about wildlife and nature should read this book. As a Marine Biology Graduate I automatically drift to marine-based books, and the Seasearch Guide to Seaweeds of Britain and Ireland is no exception, climbing straight to the top of my field guide list. 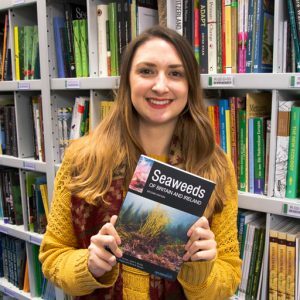 Finding an available, accessible, up-to-date guide to Britain and Ireland’s seaweeds is incredibly hard, especially one that covers all the Brown, Red and Green seaweeds! As an avid seaweed-presser I’m fascinated by seaweed diversity and this guide helps me find and identify the common, rare and invasive species that line our coasts, thanks to its detailed descriptions and distribution maps. I recommend all naturalists who have not yet attempted seaweed identification to seize this opportunity to branch out. The staff picks are becoming increasingly hard, as I have read even more books than last year. 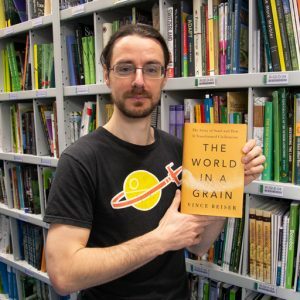 The World in a Grain is one of several books this year that made a large impression on me. Most people can name at least a few current or upcoming resource crises, but I doubt many people would rank sand amongst a natural resource that we could run out of any time soon. But, as Vince Beiser shows in this hard-hitting piece of investigative journalism, we are and the prospects are unsettling, to say the least. An excellent read that does not shy away from difficult questions and uncomfortable truths. The Echo Meter touch 2 is an extraordinary little bat detector that offers you the capabilities of a lot of high-end bat detectors for a fraction of the price. Once plugged into a compatible phone or tablet, and with the help of a free app, the EM touch 2 IOS (also avaliable for Android) will turn your device into a bat detector, allowing you to hear, view, record, and even GPS-map bat calls that you encounter. But my favorite feature has to be the automatic species ID that will suggest the most likely species in real-time and provide a link to more information. It’s a great detector for enthusiasts, making entry-level bat detecting more accessible, easy, fun and informative than ever before! I’ve always loved orchids, despite my inability to grow them. 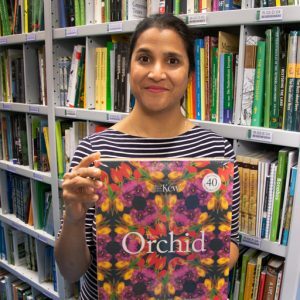 The Orchid is an unusual and delightful book containing many fascinating stories about this beautiful and ubiquitous plant. Supplemented with notes and letters from the Kew archives and 40 botanical prints featuring illustrations by great orchid artists such as John Day and Sarah Drake, it will make a great present for any orchid-devotee. 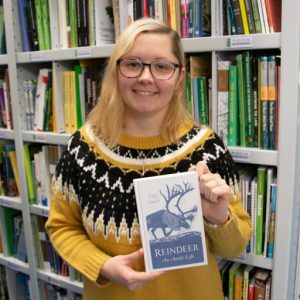 I always get excited about a new Reindeer book, especially if it’s about the Cairngorm Reindeer Centre (my favourite place to be in the UK!). Reindeer: An Arctic Life is a wonderful introduction to a fascinating species with great facts and anecdotes throughout. You’ll learn so much about Reindeer evolution and behaviour and learn more about how the Cairngorm herd came to be. Butterfly Conservation and NHBS have recently launched the new Butterfly Conservation online shop in partnership. You can browse and buy from a fantastic range of books, gifts and equipment. Every sale raises funds to support conservation work to protect vulnerable butterflies and moths across the UK. The popular Butterfly Conservation Christmas Cards are available now. Spread some festive cheer this Christmas and help protect butterflies and moths at the same time. All the cards are printed on FSC recycled card and are blank inside so you can add your own greeting. Butterfly Conservation is the UK charity dedicated to saving butterflies and moths. Butterflies and moths are key indicators of the health of our environment. They connect us to nature and contribute to our wellbeing. With over 30 nature reserves across the United Kingdom, Butterfly Conservation works in many ways to conserve butterflies and moths and improve their habitats, creating a better environment for us all. 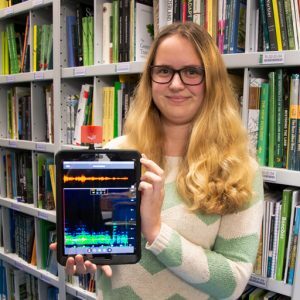 What are your background and current interests as an ecologist? I studied Zoology between 2007 and 2010 at Aberystwyth University and graduated with a first degree. 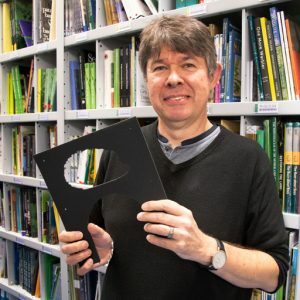 I then went on to work at Darwin Ecology in September 2010 as a consultant ecologist and have been there ever since. It’s a great company to work for and my job is very varied, although I specialise in bats. I hold a Natural England bat and great crested newt survey licence, but I also survey for dormice, badgers and reptiles. I love the spring and summer months so I can get outdoors and explore the English countryside for wildlife. What’s the story behind Creature Candy? 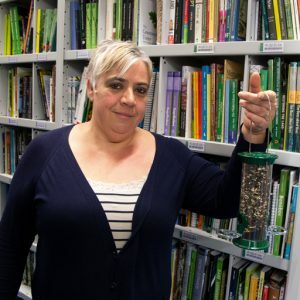 I wanted to take more of a proactive role in wildlife conservation and raise money for the charities that I work so closely with as a consultant. Two years ago (whilst sitting on my sun lounger in Portugal) I came up with the idea of Creature Candy. I not only wanted to raise money for the charities, but also raise awareness of Britain’s declining & protected wildlife species, and to inspire people to take active roles in conservation. 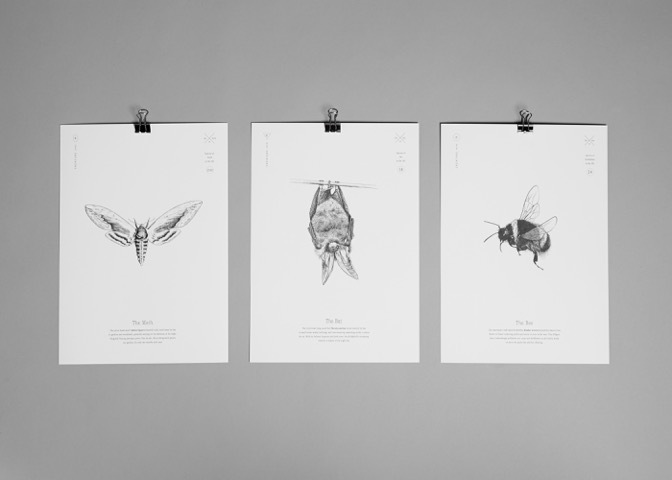 It was also incredibly important to me to change perceptions of bats, which is why my first design was a beautiful, charismatic brown long-eared bat illustrated in its true form, not a typical black silhouette with red eyes and fangs! It was also a priority to produce all our products with a “Made in England” stamp on them, which I think is very appealing in today’s market dominated by mass produced imported products. 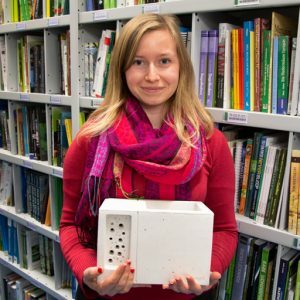 How do you find the time to be an ecologist and an entrepreneur? It’s a very hard balance to achieve. On a typical day, I switch off from the ecological consultancy world at 5pm, make myself a cup of tea and re-enter my office as the Director of Creature Candy. I then usually work for a few hours each night on marketing, processing orders and accounting, before spending some time with my husband before bed. It’s very important to find time for a social life and to relax, and I’m sometime guilty of over-working. However my husband is very supportive and I couldn’t manage the business without that support. Can you tell us more about the artwork, and what’s to come for the range? Our illustrations are hand drawn by my friend Jo Medlicott. 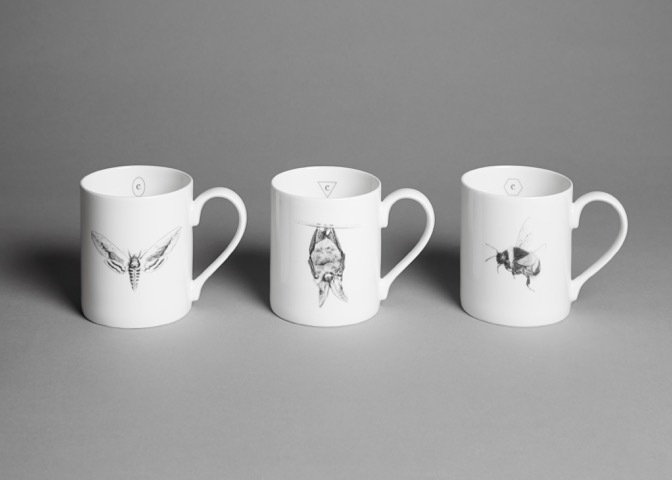 Jo is a very talented artist and draws inspiration for our designs from photography and the natural world. 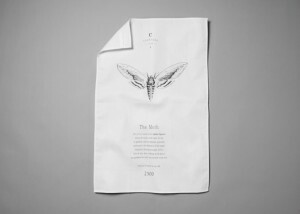 Our next design is likely to be a red squirrel or a bird and we would like to introduce aprons and fine bone china jugs into the product range. The rest is top secret!